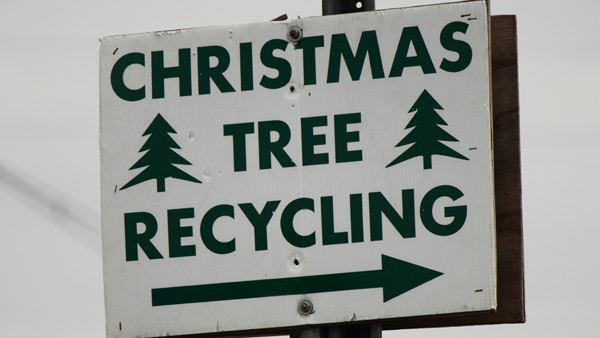 The Philadelphia Streets Department has announced its Residential Christmas Tree Recycling Program. It will run from Tuesday, January 2nd to Saturday, January 13th. Residents who wish to drop off their trees to be recycled may take them to the Streets Department Sanitation Convenience Centers, open 8 a.m. to 6 p.m. from Monday through Saturday. There will also be 23 designated locations to drop off Christmas trees throughout the City on Saturdays, January 6th and January 13th from 9 a.m. to 3 p.m.
Intersection of Wayne Ave & Logan St. The Streets Department says residents should make sure that trees are free of all decorations and untied. Christmas trees with decorations cannot be recycled.